Kentucky Equine Research® was founded in 1988 by Joe Pagan, PhD, with one primary goal - to serve as a conduit for the free flow of information from research laboratories to feed manufacturers and ultimately to horse owners. Soon after earning his doctorate from Cornell University, Pagan realized the scientific advances taking place in academia were not being passed on to those that needed it most. Many feed manufacturers understood and supported Pagan’s concept, as they wanted to create and market science-backed products that appealed to conscientious horse owners. Pagan’s deep understanding of equine nutrition coupled with his appreciation for the complexities of manufacturing and business led to the recruitment of many feed-manufacturing partners in the years since, including Bluegrass Horse Feeds in 2002. Over a 30 year period, Kentucky Equine Research has become the global authority on applying equine nutrition science within the feed industry. The company’s influence spreads far. Not only is Kentucky Equine Research well known in North America and Europe, but, on four other continents as well, with an especially prominent presence in Australia. As the name of the company suggests, the cornerstone of Kentucky Equine Research is its in-house exploration of nutrition and exercise physiology. Year-round trials form the basis for consultation services and product development. Three research centers are located in the United States - one in Kentucky at the company’s headquarters and the other two in Florida. Kentucky Equine Research is one of the most prolific private equine nutrition and exercise physiology research organizations in the world. The quantity of published research derived from studies conducted at the research farm rivals that of leading universities. Technical staff also collaborate with scientists in academia to develop and patent products and diagnostic techniques that target specific problems in growing and performance horses. For feed manufacturers, a relationship with Kentucky Equine Research represents a commitment to science and quality. Manufacturers , like Bluegrass Horse Feeds, rely on Kentucky Equine Research to provide expertise in formulation, ingredient technology, and best practices, as well as technical support such as answering customer questions. At the centre of these relationships with manufacturers lies the micronutrient premixes formulated by Kentucky Equine Research. Premixes represent the nutritional core of modern horse feeds, combining vitamins and minerals in an easy-to-mix form suitable for textured or pelleted feeds. By using a premix, manufacturers ensure precise mixing and reduce the opportunity for error on the mill floor. The exclusive premixes available to Kentucky Equine Research feed-manufacturing partners feature the latest in equine nutrition science and ingredient technology. Each premix is customized with the region’s specific climatic and soil conditions in mind and with an understanding of the nutritional profile of local forages. These KER premixes are produced by manufacturers that adhere to the highest international safety standards. When choosing a feed from Bluegrass Horse Feeds, horse owners can be assured that, when fed as directed, the product will fulfill the nutritional needs of the type of horse the feed is intended for, and that the complex vitamin and mineral package at the heart of the feed is the highest quality. Mike Lennox, longtime formulation expert for Kentucky Equine Research, was instrumental in helping Bluegrass Horse Feeds refine its line of high-quality feeds when the companies began working together. "One challenge of helping any international client is sourcing the finest ingredients so the nutrient profiles of the finished products meet not only the rigid nutritional requirements set forth by Kentucky Equine Research but also the feed manufacturer’s standard of excellence," Lennox said. "Bluegrass is dedicated to producing premium feeds day in and day out, so that makes my job easy, even when confronted with the unexpected." Bluegrass Horse Feeds products receive support from Kentucky Equine Research long after the formulas have been fine-tuned. Catherine Whitehouse, MS, a nutrition advisor with Kentucky Equine Research, is the point person helping Bluegrass Horse Feeds with technical aspects, lending her expertise to Bluegrass’s nutritional staff whenever the need arises. "In addition to specific feeding recommendations for Bluegrass customers, our nutrition team helps Bluegrass at trade fairs, like the Dublin Horse Show, or at other speaking engagements," she explained. In the early 2000s, Kentucky Equine Research responded to requests for more specialized products for horses with specific nutritional needs by developing a line of cutting-edge supplements. Designed to work in concert with partner feeds, these supplements were thoroughly researched and produced with a level of quality control unheard of in the loosely regulated equine supplement industry. Proprietary ingredients and unique solutions characterize the line. One Kentucky Equine Research supplement available through Bluegrass is Equi-Jewel, a stabilized rice bran with added calcium and antioxidants. "Equi-Jewel® supplies calories to horses that have a tendency to get excitable on high-grain rations, and, it is a great product for adding condition and topline,” said Eileen Phethean, chief operating officer at Kentucky Equine Research. Over the years, Kentucky Equine Research has created new technological innovations and applied them to the feed industry and, as with many initiatives created by the company, Bluegrass and other feed-manufacturing partners were given exclusive access. A custom software program called Gro-Trac® was developed to track and compare the growth rates of young stock to their peers, both within a certain geographical region and worldwide. In other words, breeders in Ireland can compare the growth of their young horses with those of other breeders across the country. Another program, MicroSteed®, evaluates and recommends appropriate feeding programs for individual horses based on specific criteria. Recommendations include the premium feeds manufactured by Bluegrass and available throughout Ireland and in some neighboring regions. The company’s content-rich website and mobile apps have brought the latest in equine nutrition and exercise physiology innovations to horse owners around the world.A freshly revamped website, available at ker.com, features an extensive library of articles that covers not only nutrition topics but also a wide array of health and management issues. Periodic newsletters, including the award-winning Equinews, keep horse owners on six continents informed of advances in equine nutrition. "I am thrilled with the relationship Kentucky Equine Research has built and maintained with Bluegrass Horse Feeds over the last 16 years, and I congratulate Bluegrass on this milestone 20-year anniversary," said Phethean. "I feel the company’s success has to do with not only the first-class products it offers the industry but also its tremendous team of employees." The partnership shared by Kentucky Equine Research and Bluegrass perfectly demonstrates the vision Pagan had for his company decades ago. 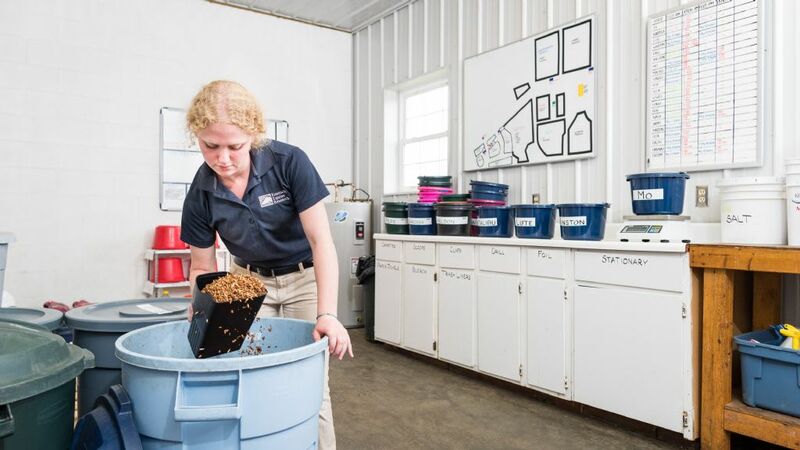 The work of equine nutritionists all over the world, including the team at Kentucky Equine Research, is now featured in every bag of fortified feed sold by Bluegrass. No longer is there a stopgap in the information pipeline that extends from the laboratories to horse owners. Horses of the 21st century are certainly better nourished than in centuries past, due, in part, to the efforts of Kentucky Equine Research and Bluegrass Horse Feeds.